Rugby league is full of characters and stories. Some of these stories have been written down for people to read, but libraries aren’t bursting with rugby league books. Most rugby league stories are told and re-told in pubs, at work, outside of mass, on the train, on TV and radio, at functions and events, in public and private conversations, formally and informally. Rugby league stories are rich in meaning. However, that meaning is not something that rugby league people spend time thinking about as the game is not self-conscious or contemplative. It has no pretence. People just get on with it. Some of that meaning is expressed unwittingly. One of the highlights of the sporting year is the pre-match coverage of State of Origin when, as the commentators name the teams, each players’ image is accompanied by a graphic of where they are from and which junior club they played for. It represents an affirmation of place. John Harms grew up in a Queensland country town: Oakey, just west of Toowoomba. Oakey is a rugby league town. Recently he revisited Oakey and popped into the Western Line Hotel there where, behind the bar, sits a photo of the mid-1970s Oakey premiership team. He still has clear memories of Oakey’s slick back-line. That photo is full of stories and conjures up a time, a place, a culture which remains with him — at least the understanding thereof. The lecture will explore some of the stories of his experiences in rugby league — as player, fan, critic, biographer, reporter, correspondent, publisher, contemplator — and speculate on the meaning that the game contains and how it is passed on. Born in Chinchilla in Queensland, John Harms spent his formative years in Oakey on the Darling Downs. One of four brothers, he grew up with sport, competing in cricket, rugby league, tennis, golf, athletics — anything that was going. After attending the University of Queensland, he became a secondary teacher before returning there for postgraduate study. He had almost completed his PhD in Australian history, when he started writing for newspapers and magazines and soon published three books: Confessions of a Thirteenth Man, Memoirs of a Mug Punter and Loose Men Everywhere. In 2005, he published the biography of Steve Renouf: The Pearl: Steve Renouf’s Story. Since then, he has established Malarkey Publications, which produces The Footy Almanac, an annual collection of Australian footy writing. 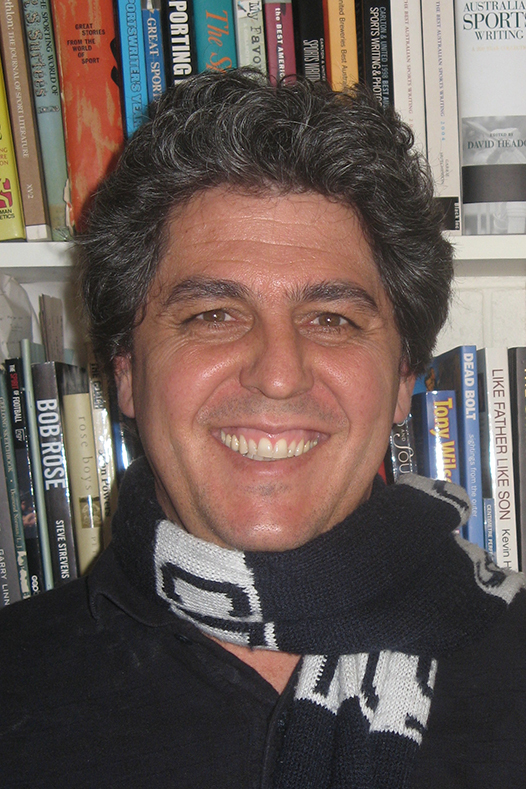 Malarkey also published The Rugby League Almanac in 2012. 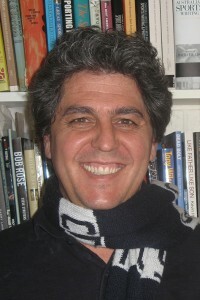 In 2009, he launched www.footyalmanac.com.au a website platform for sports writing penned by an array of enthusiastic contributors. It has published over 9000 pieces from around 1000 writers and has a burgeoning readership. John Harms appears on ABC TV’s Offsiders and can be heard here, there and everywhere on ABC Radio, and 4TAB. He lives in Melbourne with his wife Susan, and three young children.